These surface treatments can give your kitchen appliances a quick, cost-effective makeover. If your kitchen appliances are in good working condition, but looking a little worn down, it may be time for a cosmetic refresh. Below, we outline seven ways to elevate your existing appliances without resorting to buying new products outright. 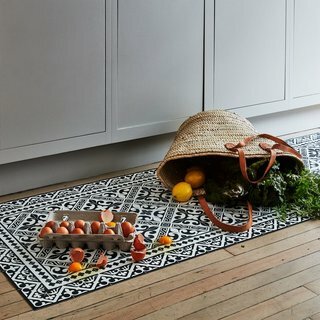 Washi tape, contact paper, or wall decals offer an easy way to change the look of your fridge, washing machine, dishwasher, or oven—and even your smaller, countertop appliances. These surface adhesives come in a wide variety of sizes, shapes, patterns, and colors, allowing you to get as creative as you want. Most are also easy to remove, so you can even use them as borders and trims for appliances in your rental home. 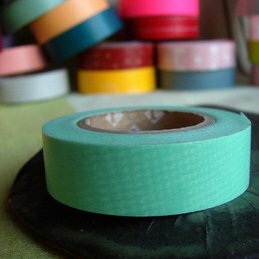 Japanese washi tape is a staple in any crafters box. Made of washi, or rice paper, it is semi-transparent and can be reused, repositioned, and easily removed. Eye-catching metallic accents can help elevate interiors. Bring the shimmer of gold or brass to your appliances by purchasing brass or gold-plated pulls or knobs, then attaching these onto your fridge or dishwasher door with super-strength epoxy. 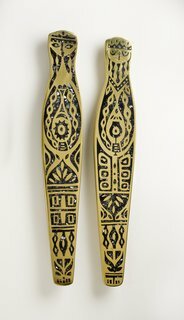 King and Queen Door Pulls, hand-cast brass with black mother-of-pearl inlay, Evelyn Ackerman, 1959. Thinking of changing the color of your entire fridge or washing machine? One way you can do so is to cut inexpensive plexiglass to the exact sizes of the front and sides of your appliances. 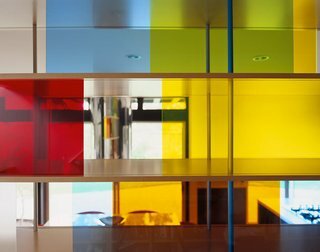 Paint the backside of the plexiglass in the paint color of your choice, then mount it onto your appliance with Velcro or heavy-duty, double-sided adhesive strips. Give your old appliances a shiny, new coat of paint. First, sand the surface of your door, and then wipe it down with a sponge to remove the gloss. Cover door handles, hinges, and rubber seals with painter's tape before applying a coat of primer. Once the primer is dry, spray on the paint, layering until you get the shade you want. Finish up with a crystal clear enamel sealant. 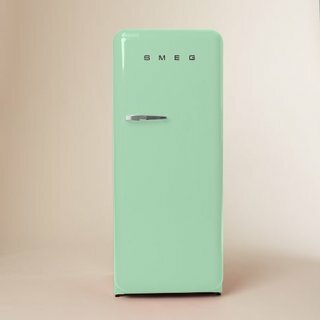 Stick with a classic red, black, or mint green Smeg. If you want to introduce pops of color to your appliances, you can also do so with removable vinyl. Available in wide range of cool colors, vinyl is a fuss-free approach to adding colors or patterns, and giving the surfaces of your appliances a clean, fresh look. 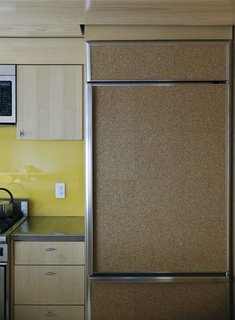 Turn you fridge into a functional home headquarter with a cork board door fridge where you can pin notes, grocery lists, task lists for the kids, photos, and artwork. If you have stainless-steel worktops or cookers, your white or colored dishwasher or fridge might not blend in quite as well as you’d like them to. One temporary solution is to use stainless-steel decals, or to paint these appliances in liquid stainless steel. 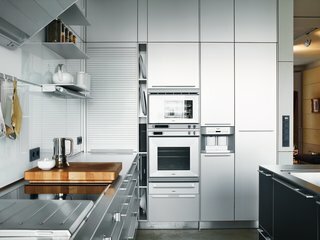 The stainless-steel Bulthaup kitchen "cost as much as a small house," said Spiekermann, though he did get a discount: Bulthaup is one of his clients.